At one point last fall, someone I loved was in emotional crisis. I drove to see him, both hands gripping the wheel, the freeway unfurling in front of me. It was as if the excess stuff in my life burned off layer by layer, leaving nothing but crystalline core: the sense of what truly mattered. In that moment I knew who I was, I knew my purpose. That drive jolted me into being. I was focused and present. I was alive. Things gradually became okay again. I haven’t had that experience of diamond-edged clarity since, but it left a taste and texture in my brain. Life holds every one of us to a final accounting, and when that moment comes I will know if I lived fully and well: if I loved, if I contributed; if I was wise and savvy enough to recognize the beauty of the moment, and then to let it go; if I handled pain with dignity and transformed my wounds to light. I can only imagine – except I don’t want to imagine – Elliot Rodger’s final thoughts, the life he was forced to account for just before he ended it. It’s easy to look at Rodger and blame the usual suspects: the parents, the bubble world of privilege, an overdeveloped sense of entitlement, narcissistic rage. But as Sasha Weiss pointed out, the values that Rodger expressed in his manifesto reflect the values of the larger culture that raised him. A consumer culture. A winner-take-all kind of culture. And, yes, a patriarchal culture that offers up women as images, trophies, status symbols — and objects of blame. This goes all the way back to when Eve ate the apple, when Pandora opened the box, and shows itself now in the way the women’s movement is blamed for pretty much every social ill under the sun. You can use an object, you can scapegoat an object, you can destroy an object. But you can’t form an intimate relationship with someone whose humanity you can’t or won’t even acknowledge. Rodger was a snake with its tail in its mouth, eating himself alive, taking others with him. Sad thing is, he’s not the only one – just an unusually disturbing and exaggerated example. I’ve been thinking about spirituality, how you might define it, and I like Bill Plotzkin’s idea about the place where you break yourself open to the Other. If perception is reality, then we each live inside the worlds of ourselves. Everything we see is slanted, colored, tainted with our own projections, biases, imaginings. The struggle is to get out of yourself and make genuine authentic contact with something or someone that is not-you: the Other. We do this when we love. I don’t mean romantic love, which is all about illusion and projection – but the love that develops when desire makes contact with the reality behind the dream. We do this when we put our gifts in service to the world, to something greater than ourselves. I first came across the phrase ‘sacred circuit’ in the excellent book SLAYING THE MERMAID: Women and the Culture of Self-Sacrifice , and it’s stayed with me ever since. The sacred circuit is when you sacrifice – when you make sacred – something you have in order to attain something of much greater value. What you give to the world comes back to you, bigger and better than before. The more you have, the more you give, and the more you give, the more comes back to you, so that you have more, and give more, and so on and so forth. The fate of the world and the fate of your world become one. We screw ourselves when we take ourselves off that sacred circuit. Then all we have – is the me. All we give to – is the me. Our life’s work becomes the perfection of — the me. Everything begins and ends with – the me. The me is a very, very small place. It’s never enough, in and of itself, to make you come alive. Life has a way of cracking us open so that, at some point, with varying degrees of emotional violence, we learn this. We learn that the fullness and wholeness we seek won’t be found in anything that doesn’t love us back; craving opens into nothing but more craving. We learn to reach outside ourselves, toward the electric joy of the sacred circuit. It is, ultimately, what saves us. It might have saved Elliot Rodger, if he had known to break himself open, to expose himself to the heart that beats inside the Other, and to listen, listen, listen to someone or something beyond his own anguished prison of the me. To do this in a culture that glorifies and celebrates the me — and all the things we buy in order to ‘express’ the me to others — is no easy matter. But as we continue to scar ourselves, each other, and the planet, it is one of life or death. Your perspective always helps me explore my own and I appreciate you and your writing for that. Since peeling away my layers I have definitely found that making myself more vulnerable seems to have opened the door for others to do the same with me. I feel more deeply connected and loved. A recent life changer for me was Bob Goff’s book Love Does; he encourages readers to show “whimsical” acts of love :) Your post also made me think of two resources I’ve learned about as an educator with the needs of our boys in mind: the documentary that will be out soon- The Mask You Live In by Miss Representation and the book BAM! (Boys Advocacy and Mentoring). Adult facilitated social groups will not fully interrupt the “me” culture, but in my experience in elementary, middle, and high schools, they are a great and needed start. Counselors and specialists often run these types of groups, however, many other adults also have a lot to offer kids in these groups. I encourage anyone who is interested in partnering up with other adults running such groups to contact a school’s principal, counselor, and/or volunteer coordinator. Just had to put a plug in! Raising a child on the Autistic Spectrum is very difficult as they find it hard to understand people and empathise with them. They miss social cues, body language and subtle comments. They take things literally, find it hard to figure out if someone is joking or being sarcastic and see the world differently. The world can be a confusing and scary place for them. It is like being dumped in a foreign place with no idea what is going on and not having the skills to work it out. Because of this they are often accused of being self-centred, when really it is only through how things relate to them that they can understand the world. But that doesn’t mean they can never be taught some of these things. It does mean it takes a lot of time and patience. Sadly a lot of kids on the spectrum slip through the cracks of our society and never get the help they need to learn what is considered acceptable behaviour and how those around you should be treated. So many news reports have tried to find a scapegoat for Elliot Rodger’s behaviour when really it was likely to be a multitude of reasons and numerous events in his life that led him to that point. And quite likely many of those events would have been ones that he misunderstood and received the wrong impression regarding what was really happening. I have two children who were diagnosed as being on the spectrum (and Temple Grandin is a personal hero of mine). They are incredibly sweet kids (and one is no longer considered on the spectrum, thanks to some amazing early intervention therapy). Human beings are incredibly complex. As a Spectrum-dweller myself, I often find it extremely difficult to distinguish between lower-case self desires/wants vs what unique contributions I am called to make or create vs the demands of daily life. It is not at all clear to me how I am supposed to be of service or how to distill out my unique contribution from swirl of cravings, insights, joys, frustrations, and obligations that make up my day. 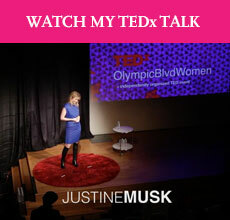 So, like Justine said, those moments that provide real clarity are incredibly valuable. Often I find such moments of singular clarity in either athletically- or creatively- induced flow states (http://www.flowgenomeproject.co/), but those can be hard to generalize to daily life. Also the life-enriching contribution made by those experiences are seemingly more internal or singular to me vs “being of service” to others. Resultantly, I feel like I am supposed to feel a lot of guilt about not being in more direct service to others. And, as a mild Aspie, I don’t really have a strong sense of empathy as a felt emotional experience. Sure, I grasp it intellectually, but I cannot seem to access the “helper’s high” (http://allanluks.com/helpers_high) that apparently makes empathy such a rewarding experience for many people. I find your rants quite pathetic. You obsess over beauty. You have the financial wherewithal to do anything. Why waste it? What’s wrong with being a competent and successful mother? Not enough glory ? What’s wrong with gaining knowledge through study and investigation vs going to here someone else ‘s opinion at an art gallery? Get some facts under your belt – why not just look at something easy. How about you look up and see what the president was doing each of the past D-Day anniversaries? Hint – he was not in France. He is the only president to not attend the annual ceremony there. Dude, if you find me pathetic, don’t read me. Go back to watching Fox News. I won’t miss you. I stumbled on your blog while looking for information about SpaceX. Sorry to disappoint but I don’t watch Fox News. However, your choice to “deflect” instead of actually “engage” in a reply is not surprising. It’s pretty sad for a society in general that people with so much at their “disposal” are so ignorant and self-absorbed. Good luck to you in your worthy endeavors. I was going to dismiss this, and you, as not worth my time. Then thought I would add: your comments (and the assumptions behind them ) were so clueless/inaccurate I assumed you arrived here through an interest in E, with biases about me, the ex-wife, fully intact. I would have been happy to engage if you had taken, shall we say, a somewhat different tone. You clearly did not want to ‘engage’. You wanted to put me in my place. As to why, I can only guess, although I have no wish to do so.